You never have enough closet space, so don't overlook your closets or other areas of your home that have storage potential when thinking about home renovations! J & A Construction NJ Inc's intelligent storage solutions can transform underutilized areas of your home into fully functional spaces. A more organized home creates the illusion of more living space and eliminates the stress of not being able to find things. J & A Construction NJ Inc offers a wide range of custom storage solutions that can help you conquer clutter. 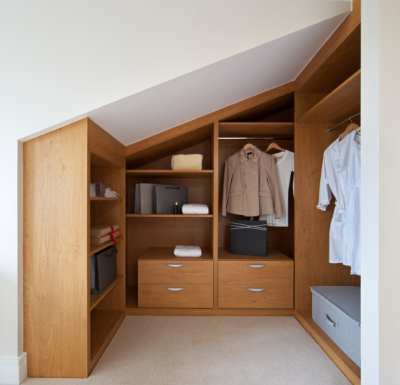 Transform your attic into a playroom or craft and hobby area. Whether you're coming or going, let J & A Construction NJ Inc make your transition from inside to outside stress-free. Our efficient entryway storage solutions are designed to provide a perfect place for everything, including your car keys. J & A Construction NJ Inc can install multiple rods in your coat closet to organize outerwear by season, create a spot for winter boots, and even find the perfect spot for umbrellas and pocketbooks. From seasonal items to recreational items, J & A Construction NJ Inc can build a storage solution to meet your needs. Bring purpose to every space! Call (201) 371-6061 to speak with one of our knowledgeable designers. We will evaluate your storage needs and come up with a solution that fits your lifestyle and your budget. J & A Construction NJ Inc has over 19 years of experience building custom storage solutions.